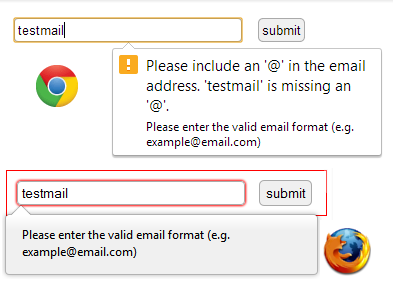 Chrome - you can set you input element's title attribute to read "Please enter the valid email format.". title="Please enter the valid email format." x-moz-errormessage="Please enter the valid email format."